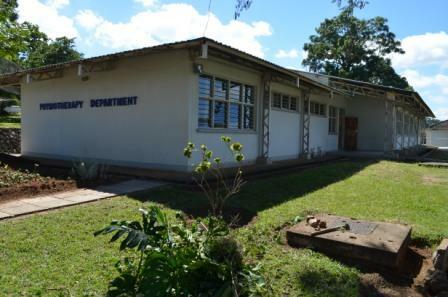 The Physiotherapy Department was established in 2010.It is the first Physiotherapy school in Malawi. The Department is housed in the old College of Medicine Library on your immediate left as you enter the main gate of the Mahatma Gandhi College Of Medicine campus. The BSc Honors Degree in Physiotherapy is a program that takes four years to complete, in addition to the one year students spend in Foundation class. Initially the first and second cohorts were of twenty students due to capacity then. Currently we have established ourselves to the extent that the student intake per academic year is between thirty and forty students. Since its inception the Department has graduated 45 well qualified Physiotherapists who have already been integrated into the Malawi Health system.